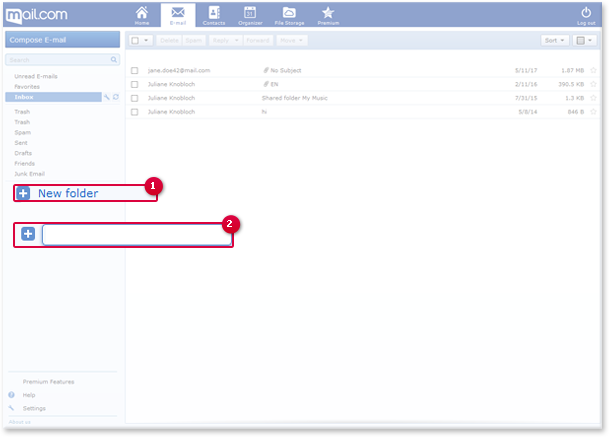 Add a new folder to sort your e-mail as you like. 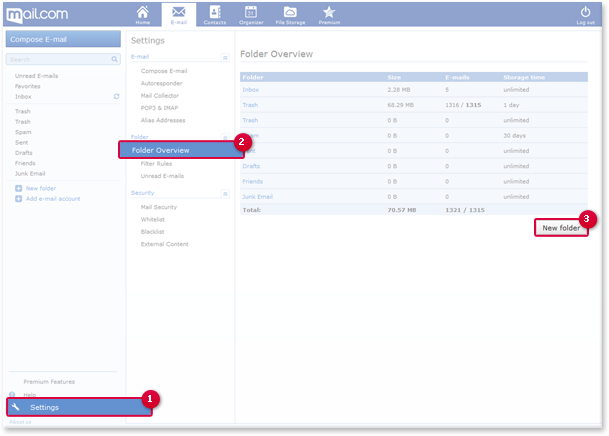 You can also edit an newly added folder afterwards and make sure that it has the right settings. 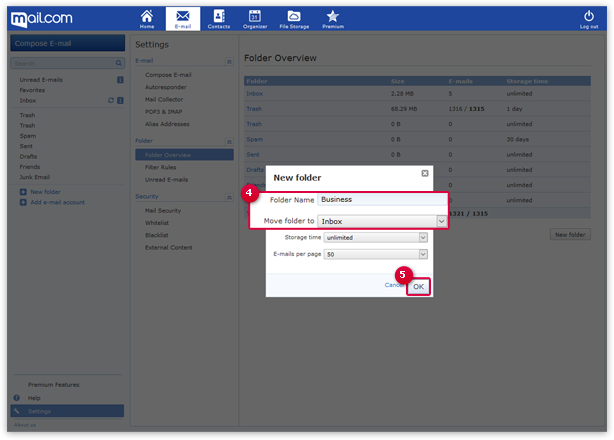 You can create up to 256 folders. 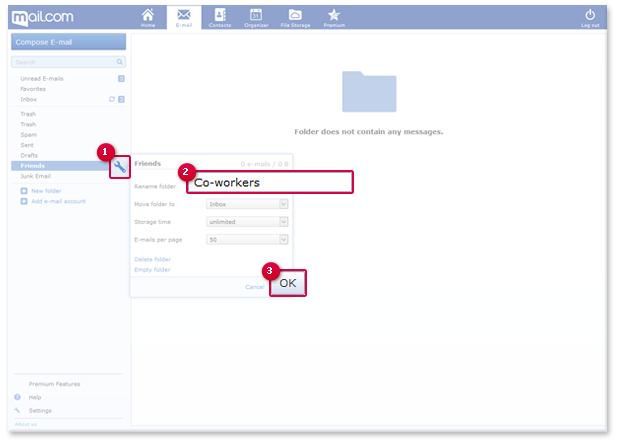 Enter a folder name. The permitted special characters are _ - .ä ö ü ß and a blank space. The new folder is created and appears in the folder list. 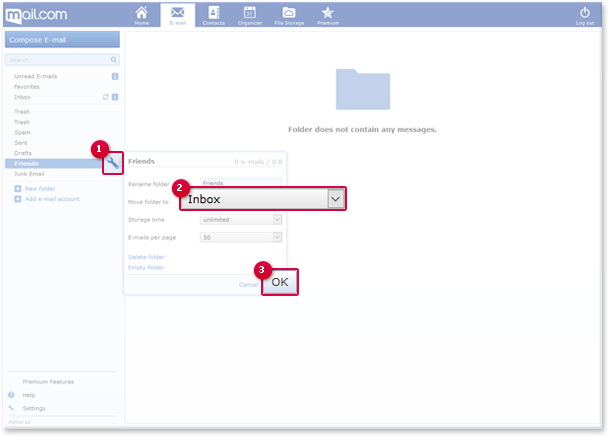 Enter the folder name and choose which folder the sub-folder should be located in. 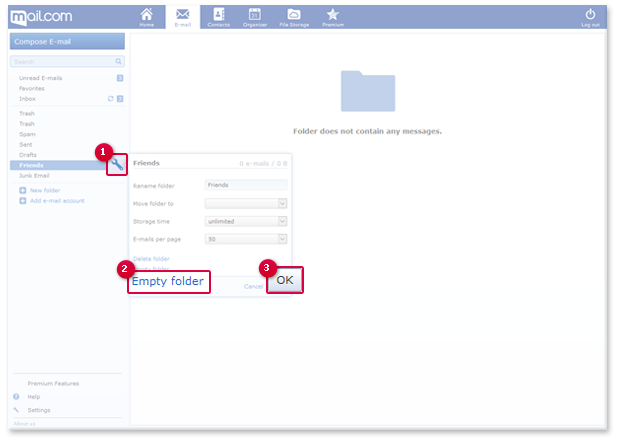 In the menu that appears, you may select a different parent folder it will then appear under. You cannot rename the system folders. 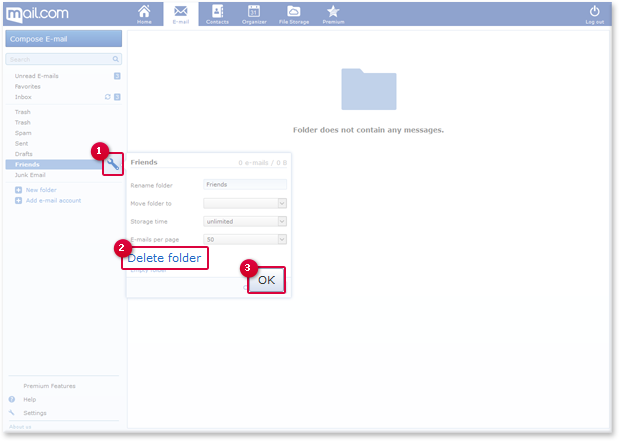 You cannot delete the system folders.